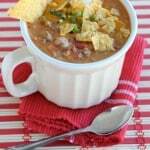 Cheeseburger Soup - Dessert Now, Dinner Later! 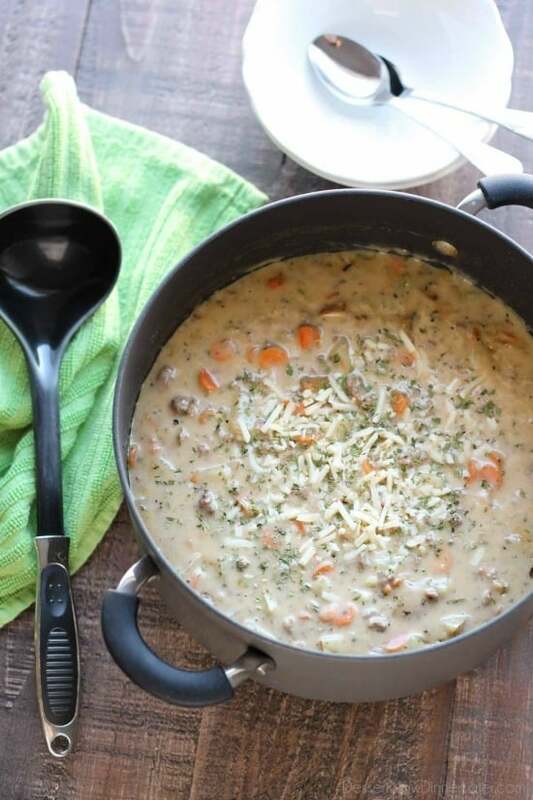 This creamy cheeseburger soup is full of hearty chunks of vegetables and beef with a slight kick of pepper jack cheese. 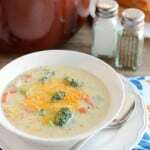 Super comforting for the cold weather months! 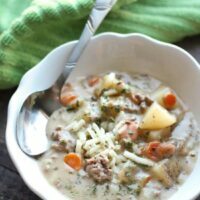 I originally shared this recipe in June of 2012, but I’ve updated the pictures and re-worked this post because this cheeseburger soup is one of those soups we look forward to each winter! I didn’t want it to get overlooked for my lack of “nice” pictures, and since fall is officially here, it’s definitely soup season! 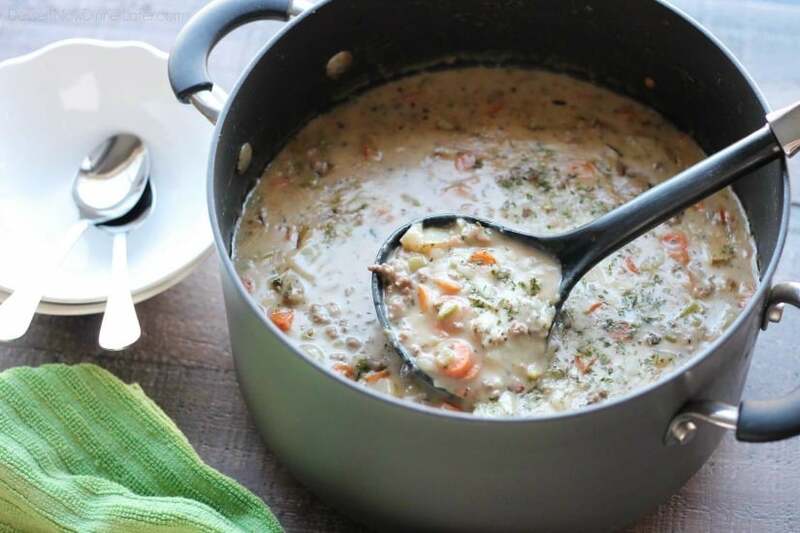 This cheeseburger soup can be as creamy or as thin as you want. It just depends on the amount of roux (butter + flour) that you make. It’s actually thinner than my pictures suggest. I went a little heavy on the flour this go around because I used my freezer vegetables that have slightly more moisture in them than fresh vegetables do, but I’ve been wanting to update this post badly, so stay with me. 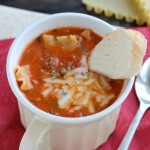 Just know that this soup needs to go on your dinner menu asap! I absolutely love this recipe! It is so unique to me. 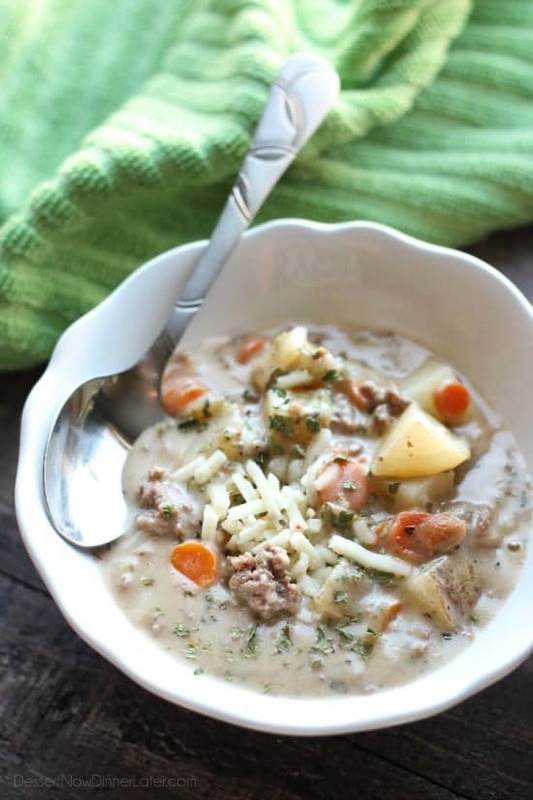 It has all the regular soup components, but adds ground beef, potatoes, and cheese, making it really amazing! 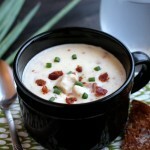 It’s oh so creamy and I love the kick from the pepper jack cheese. It’s the perfect touch! 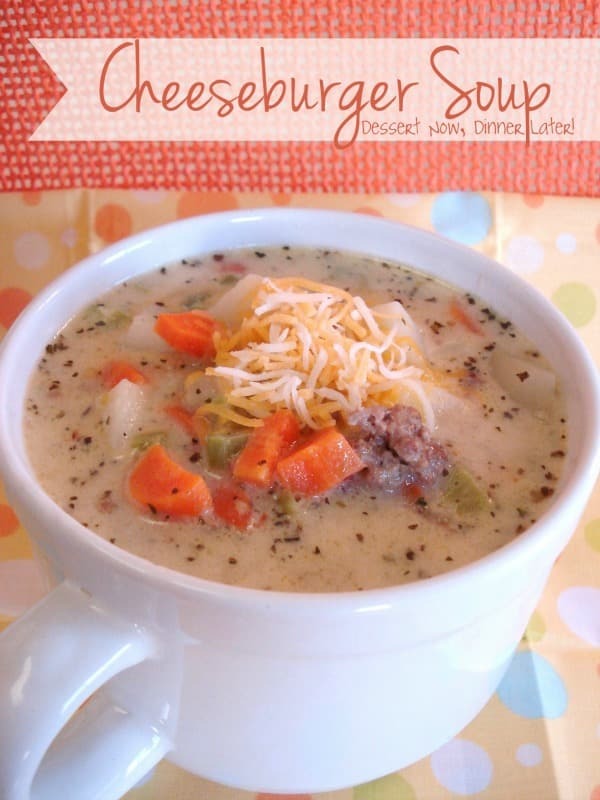 I hope you try this cheeseburger soup! Let me know if you do in the comments below! Happy soup season! In a large stock pot, brown beef; drain fat and set aside. In the same pot, melt 3 Tbsp of butter and saute onion, carrots, celery, basil, parsley, salt and pepper. Cook about 7 to 10 minutes or until vegetables are tender. Add flour to soak up the butter & form a roux with the vegetables. Cook 1 to 2 minutes; until nutty and fragrant. Add beef broth, milk, potatoes and browned beef; bring to a boil. Reduce heat. Cover and simmer for 10 to 12 minutes or until potatoes are tender. It will thicken up as it simmers. Remove soup from heat. Add cheese and sour cream. Stir until everything is melted & blended well. Serve hot. Pictures updated & post re-published 9/25/16. Post originally published to my blog June 24, 2012. Oh I love this soup! 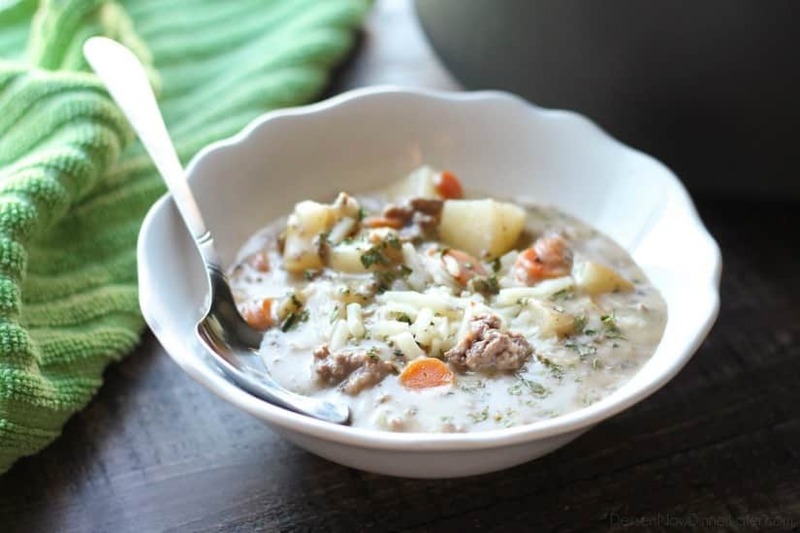 We have stopped eating soup now that it’s warmed up, but this is definitely one of my favorites! Will be making it again as soon as fall is back. Since it is Sunday already, I am happy to find this soup suggestion to make during the week for supper with bagels 🙂 and a glass of wine. Thank you !